This rare newspaper lasted for less than one year, publishing but 52 issues. Primarily moral and political essays, it gave offense to men in power and was "suppressed by authorities", as Brigham relates. The imprint appears at the bottom of the back page, noting: "New York: Printed by J. Parker at the New Printing Office in Beaver Street...". 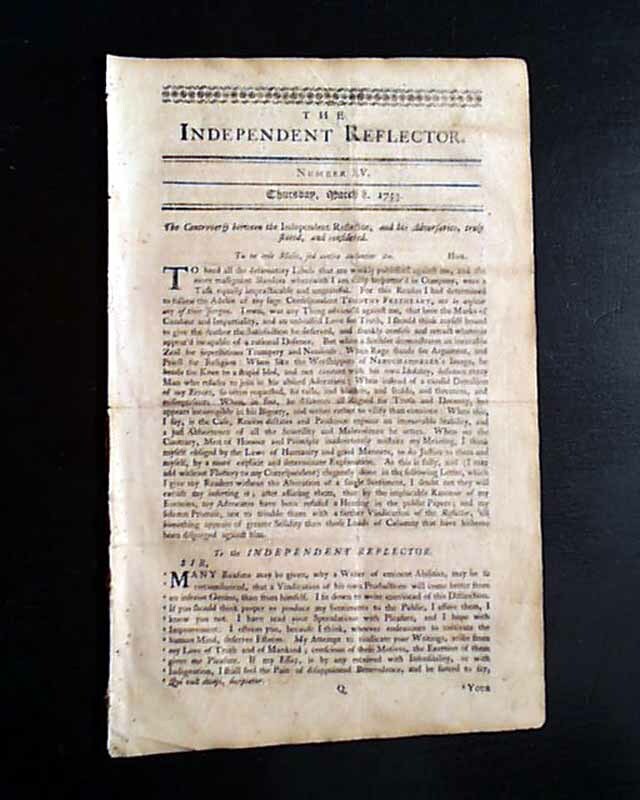 A fine opportunity to purchase at a reasonable price a very early issue--over 260 years old--by James Parker from the colonial press of New York. 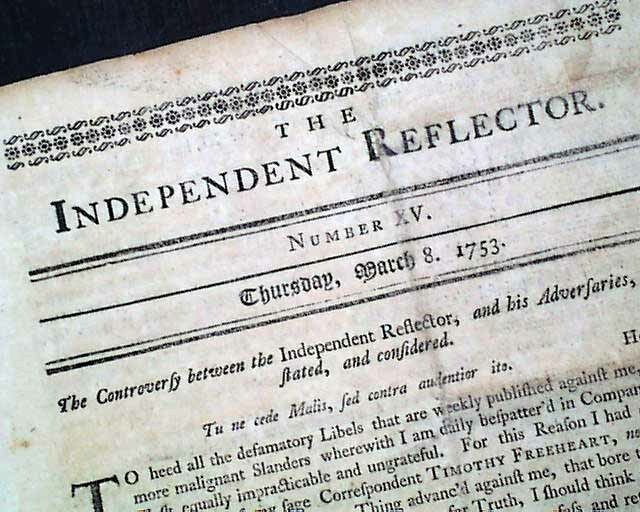 American titles from the 1750's are rarely found. 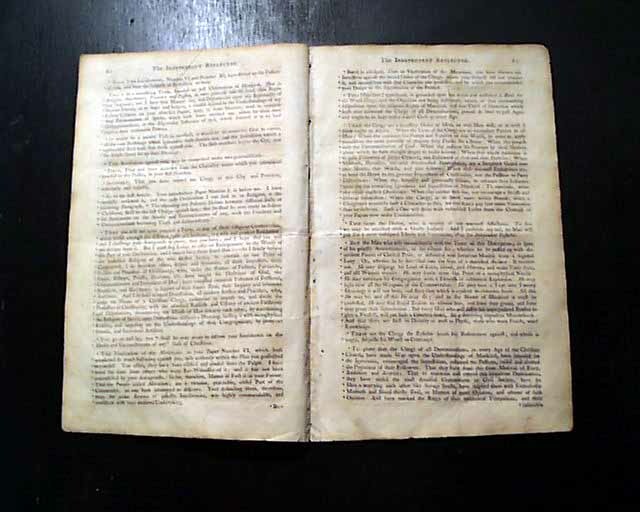 Four pages, 6 3/4 by 10 3/4 inches, a few folds & a very minimum of fold wear, nice condition.